What's That They Say About Busy People? ​Well, if I said I’ve become complacent, it would be a lie. The word ‘evolve’ has come up more than once in conversation with Brenda. We’ve used it frequently to describe how we are continuing to adapt with the things we have been doing with her home-based business. The homemade jelly, jam, salsa and antipasto products continue to sell and she keeps adding new items to the selection. It is with this ongoing revolution of changing up the product line that we have discussed how the business keeps us interested as it continues to evolve. Even after being at it for five years, we are still fine tuning here and there. The same can be said about my home-based business. As a ghostwriter, I have a ton of flexibility on a daily basis as long as I get freelance jobs completed on time. Now that I have recently added additional responsibilities related to my elected position in civic politics, the flexibility has come in handy. If anything, I am learning how to use my time even more efficiently than before. I still get a fair volume of writing jobs – over 30 during the month of February 2019 alone – so I’m not losing any ground. If anything, I am learning how to evolve along with the demands of the two main things that fill my days when I’m not vending with Brenda. But as I hinted at with the title of this article, busy people tend to get things done. However, as busy as Brenda and I may sound to the average person, we also have a firm grip on what our limitations are. For example, we attended a new-to-us vending venue February 16. Leading up to that date Brenda canned daily and for no less than ten hours per day on some of those days. That built up the inventory for this event as well as the balance of the JamBusters! inventory. Now, she is taking a break from canning for a few days to rest. She knows that in order to function well over a long period of time, she has to stop and quit moving so much. I call it pacing. In our third quarter transition, pacing has played a major role in our lives. I think that is mostly due to the fact that both Brenda and I have found new career paths that have given us a reason to stay active. 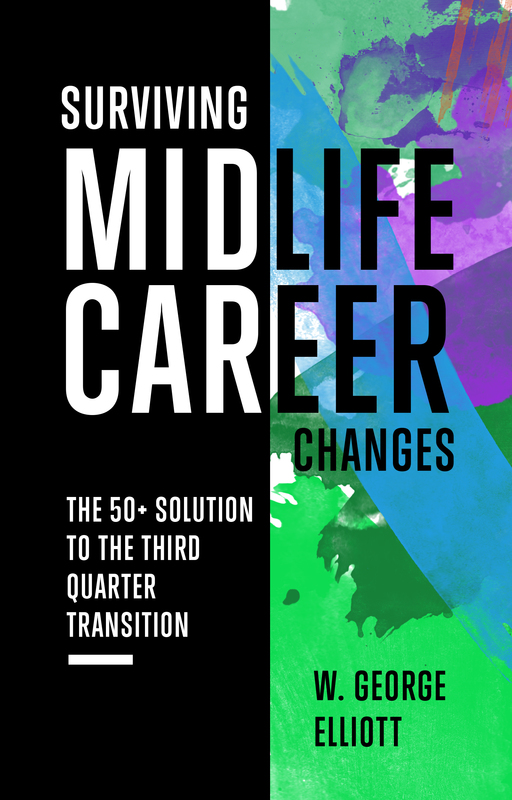 Not all midlife career changes provide such an outlet and I think that is one of the things I appreciate most about how our lives have evolved over the past few years. I know when I’m reaching my limit and I’ll just stop taking on jobs until I get that break I need or I’ll work extra hard to ‘earn’ a little extra time off. Either way, we have found what works for us and continue to put it in practice. Staying busy is good, with breaks included. ​If you had told me three years ago, as I was entering my third quarter transition, that I would be involved in politics I probably would have scoffed at the idea. In reality, I had taken a run once before at Municipal politics in 1999. My grandfather spent several years in the 1930s and 1940s deeply involved in civic government. It was something I had a minor interest in but had been exposed to heavily ever since I moved to Princeton back in 1986. I instantly became a reporter as one of the many duties I assumed as the Assistant Manager of the local radio station. The job included the morning show, advertising sales and news gathering with a focus on local government. When I left that job and ended up at a local newspaper I had some of the same duties. When I became owner/publisher one of the things I did eventually assume was reporting duties with a focus on local government. Over the years I saw many different local governments come and go. I even covered a number of the local elections. Not once during that time did I ever see myself as part of such an organization. Town Councils were great sources of news content even if they were not cooperative, and in most cases they were. Then changes in how local government viewed the role of local media shifted how we all did business with each other. A drop in advertising revenue from local government contributed to difficulties we experienced with our newspaper. However, ad revenues were also down across the board and changes in the industry were shifting a lot of things around. The digital technology of the day soon spelled the end of small town independent newspapers. When we decided to close the doors I was asked more than once if I had considered local politics as my next move. The next municipal election was still over two years away but the question kept surfacing over and over again. I eventually started considering it as a potential ‘next step’ although we had already switched our lives to focus on turning two part-time established hobbies into full-time careers. That was successful and marked our third quarter transition. However, I still saw room for additional challenges in my life and tossed my hat in the ring. I ended up winning a seat on our local Town Council in a race that included 14 other Candidates. Early into this position it has become apparent to me that this is a good fit for where I am in my life. I have a great deal of freedom as a work-from-home entrepreneur and so far, the steep learning curve has been eased with a lot of support coming from the municipal level. What will I be doing in five years? I’d like to think I’ll still be chasing challenges.